I'm getting back into the habit of working out. I've downloaded a Yoga app and am looking for the next activity I can take up to get myself back in shape. I think running is something I really need to get into. It's and convenient and so makes for the obvious choice. It's not always easy to get off the sofa and do something, especially for someone like me, who is the personification for the word 'lazy'. But hopefully these tips are enough to help and get you (or me) out of the house. Here are some tips from Cancer Research - great if you're just starting out. 1) Invest in a good pair of trainers. Ideally, you want to go to a good sports shop and get your feet measured. This ensures that your feet are well supported and also makes the whole running ordeal a lot easier. 2) Get a good sports bra. Again this gives you important support when you run, while also keeping you comfortable. 3) Know your limits. We've all seen those motivational posters about having no limits and transcending them, but if you're starting off, there are limits. You won't be able to find yourself immediately running marathons. You need to start off slowly and then build yourself up slowly. This is where I went wrong. I thought I could do more and ended up both lacking motivation and injuring myself. Get yourself a group of friends and start off with power walks or light jogging. 4) You're going to get no where if you do a 20 minute run, and then go to eat some cake. As good as cake is, you need a healthy diet if you want to train for something or want to get in shape. I will never tell anyone to give up food they like, but instead cut down on the junk and then incorporate a more balanced diet - include more fruits and vegetables instead of sweets and other junk. 5) Same goes for drinks. Try to cut down on alcohol and fizzy drinks, and include more water. Stay hydrated before, during and after exercise, and make sure it's water you're drinking. 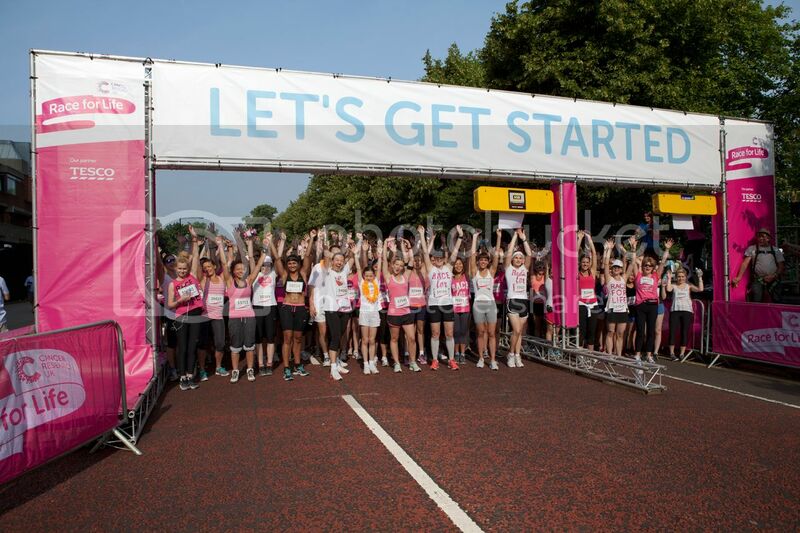 If you're a runner and want to do some proper runs, head to Cancer Research and find some races near you. How to you start training? A good sports bra is such an essential! Oh gosh - all of these tips sound right but the truth is, despite minimal equipment requirements, running is just not for me. I hope it works for you, though!